KENT, OH – AMETEK Dynamic Fluid Solutions (DFS) now offers its industry-leading Windjammer® 5.7-inch and Nautilair® 7.6-inch brushless blowers with Universal Voltage Common Performance (UVCP) that allows them to achieve the same performance whether 120VAC or 240VAC inputs are used. Universal Voltage Common Performance (UVCP) is unique to the blower industry. It allows one product to be used universally around the world. That permits blower users to streamline purchasing and decrease the number of different blowers they need for multiple parts of the world. The Windjammer and Nautilair software has been upgraded so the blowers have same operating performance and mechanical features whether they are used in North or South America, Europe or Asia. This feature especially benefits users in instances where the blowers are specified for application in multiple regions around the world. A single Windjammer or Nautilair blower is now able to accommodate the different voltage standards without requiring variations, and users can rely on a single part number, resulting in fewer items to keep in stock and fewer variables in designing a new product for multiple world regions. Along with Universal Voltage Common Performance (UCVP), Windjammer brushless bypass and Nautilair brushless blowers provide long service life and virtually maintenance-free operation as well as reliable and efficient performance for a wide array of air-moving applications. 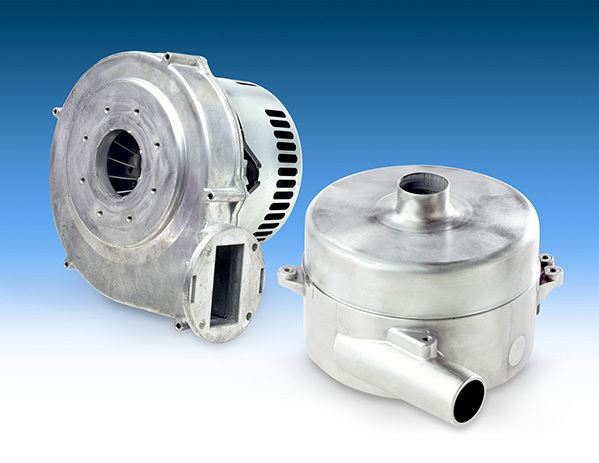 Along with Windjammer® and Nautilair® brushless blowers, AMETEK DFS offers ROTRON® regenerative blowers, DurA-Tek Prime pumps and MICROjammer® variable-speed brushless blowers; transportation blowers, motors, pumps and fans. For more information, AMETEK Dynamic Fluid Solutions (DFS) at 100 East Erie Street, Kent, OH 44240. Phone: 330-673-3452. Fax: 330-677-3306. Web site: www.ametekdfs.com. AMETEK DFS is a unit of AMETEK, Inc., a leading global manufacturer of electronic instruments and electromechanical devices. ©2018 AMETEK.Inc. All rights reserved.